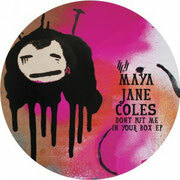 Hypercolour imprint deliver ‘Don’t Put Me in Your Box’ EP from the talented Maya Jane Coles this winter. Featuring four new original cuts and artwork created by the multi-faceted producer, the EP marks the final 12” release before her album project takes hold in 2012. 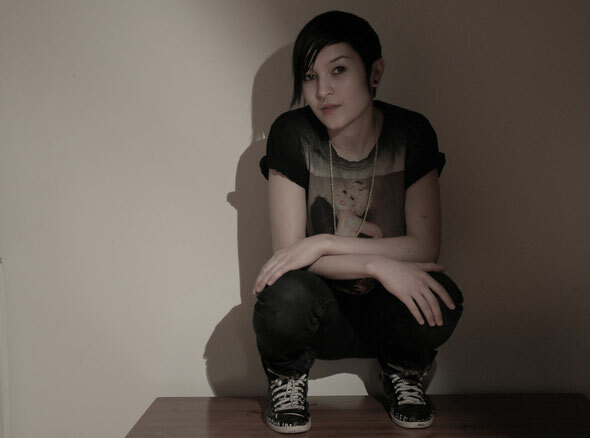 The attention on Maya Jane Coles throughout 2011 has been about as intense as it gets and for good reason. Her productions - written, produced, engineered and voiced by the young artist herself - have won respect and support from peers, punters and press alike, whether it’s producing house, bass music as Nocturnal Sunshine or electronica alongside Lena Cullen as She is Danger. Having recently remixed Little Dragon, Tricky and DJ T, Maya is building on early successes beautifully and this current EP for her friends at Hypercolour continues that progress in fine style. ‘Don’t Put Me in Your Box’ is the London-based producer’s most ambitious EP yet. Much like her previous output the rich, melodic and warm characteristics are present but there’s an increasing maturity that bleeds across the four tracks. The classic deep house tropes of Coles’ early material are still superbly delivered in ‘Parallel Worlds’ and ‘Cutting It Fine’ but are presented in a refreshingly subtle and original context that provides a snapshot of contemporary house music at it’s finest. While those bookending tracks tip a nod to previous material the lurching, dub-house of ‘Dub Child’ and the strikingly beautiful melodies ‘Something in The Air’ see the young producer exploring, creating a well-rounded EP touching on the breadth of modern house.